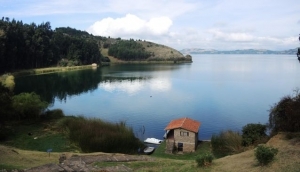 Colombia's lakes are great places to set up camp for the night, do a bit of fishing or try your hand at some watersports. Tota Lagoon, three and a half hours from Bogotá, even has white sandy beaches and some surf. Colombia's rivers, especially Pance River in Cali are popular places for swimming and having picnics, and make great days out for families.